As more and more people become comfortable behind the camera, particularly with live video, Mike Allton expects to see a lot more blog content that comes directly from video. A leading blogger and social media consultant, Allton is the owner and founder of The Social Media Hat, which posts articles about changes and events affecting social media and internet marketing. “We should see more people repurposing live video into podcasts and blog content,” he said, anticipating trends in both areas. Allton talked about common misnomers people have about blogging and social media. Step One: Research ideas and ensure that the selected topic fits your brand voice, audience needs and business goals. Step Two: Draft and edit the post, and labor over the headline. Get help from headline analyzer. Step Three: Have a blog promotion checklist to ensure you use every technique to promote your post, including social media, email, influencers and more. What if brands default to the advertising mindset on social media to compensate for an underwhelming brand persona? He explained how social media increases blog visibility and vice versa. He “absolutely” sees the benefit to have the same audience on blog and social networks. Allton recommended resources to social media marketers who want to grow and improve their blog. To start, he said writers should follow other blogs and bloggers. 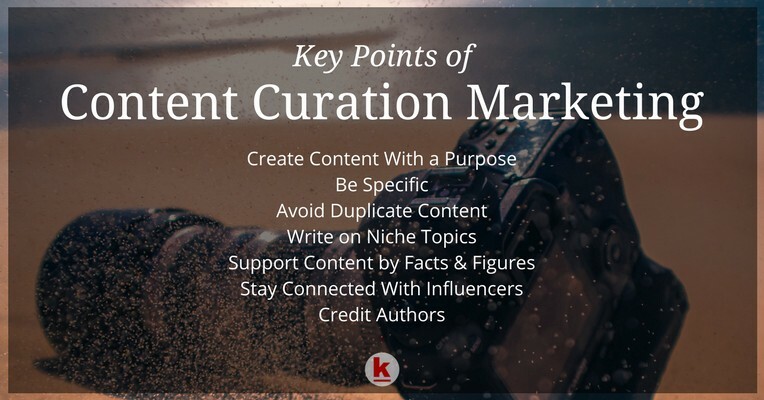 Consider These Content Curation Tips!